Nizzy is no stranger to this blog. He first made his appearance in 2013 with his track ‘Drumstick’. Now he returns in 2014 with a brand new single ‘Egwu’, featuring 2013's breakthrough artist – Lola Rae on the track. Currently based in London, Nizzy calls on heavyweight producer P2J for the production of the catchy dancehall/bashment influenced single. In the Nigerian Igbo language ‘Egwu’ means dance, which a lot of people are sure to be doing once they hear this new banger. Lola Rae's enchanting and lustrous vocals undoubtedly compliment the song, once again highlighting the starlets increasing musical diversity. ‘Egwu’ is set to be a hit and is about to take over the radio stations, DJ playlists, television networks and worldwide. 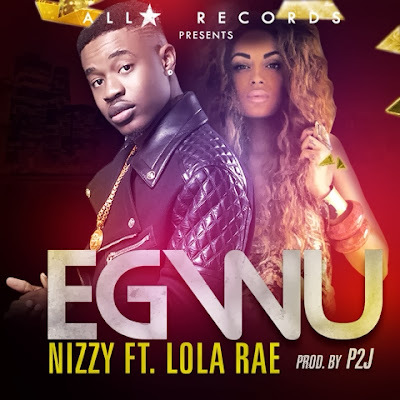 It's no secret that 2014 is going to be a huge year for both Nizzy and Lola Rae, but just in case you need a reminder of why, listen to the floor-filler ‘Egwu’ below! Video out soon!